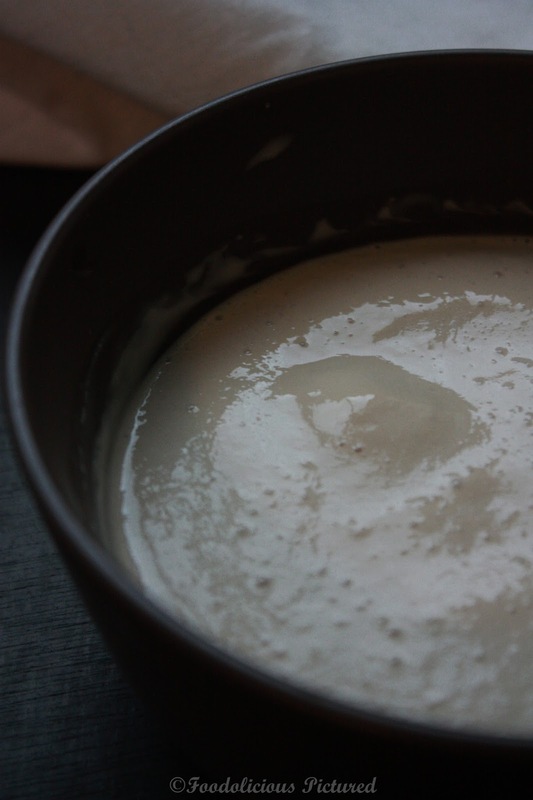 In bowl, stir the yeast in 60 ml of lukewarm water. Set aside for 10 minutes or till foamy. In a mixing bowl add the sugar, eggs, yeast, butter and half the flour. Using a dough hook attachment, knead till well combined. Add the remaining flour and continue to work till it forms a sticky dough. Put the dough onto a lightly floored surface and lightly knead the dough. Butter a bowl and transfer the dough to the bowl. Cover with a cling wrap and let it sit in a warm place to raise in double in size (it took about an hour for me). Once the dough has raised in double turn in back to a flour surface and roll out to a 1.5 cm thick. 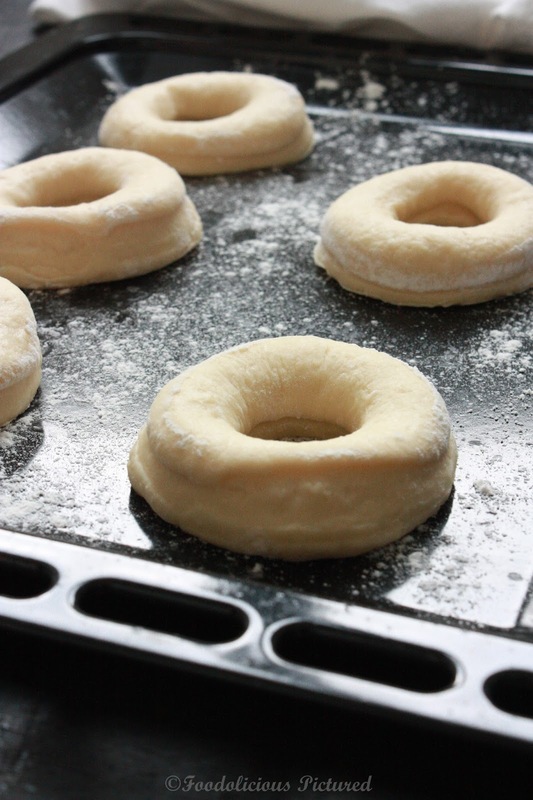 Using a doughnut cutter or use a 8 cm diameter cutter, then cut out holes with a 2 cm diameter cutter. 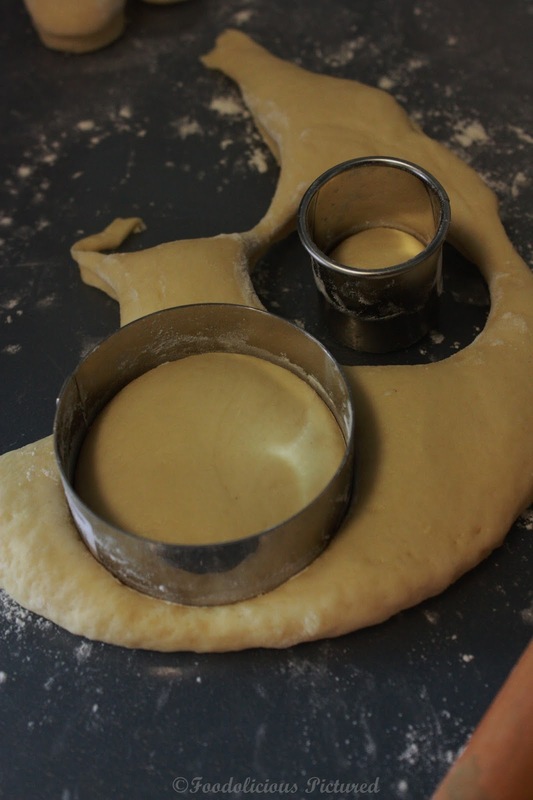 Place the cut dough on tray lined with baking paper with at least 2 cm gap between each. Cover with cloth and let it sit till the dough raises in double (took 30 minutes for me). 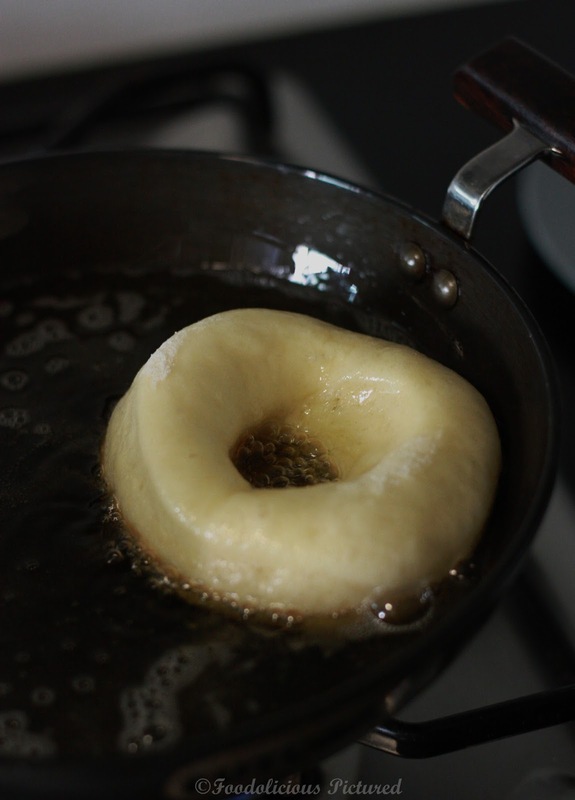 In a deep frying pan, heat the oil required for deep frying. 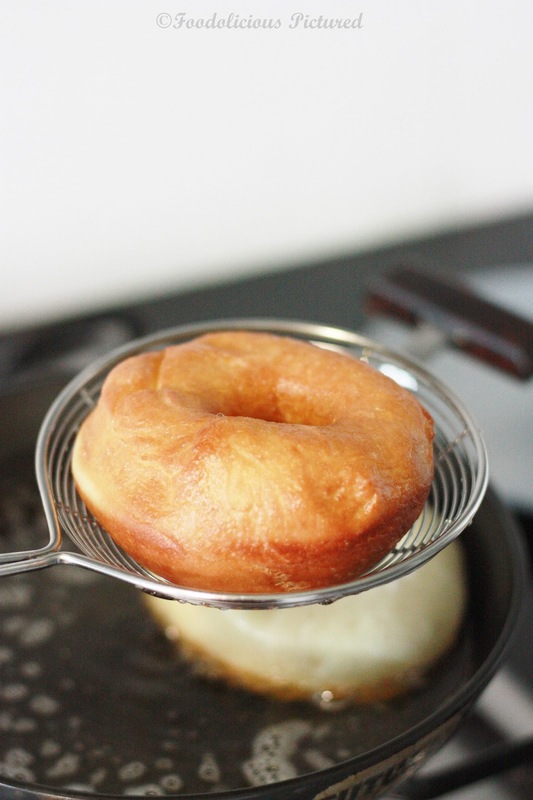 Once the temperature is 180c; deep fry the doughnuts in batches till they are cooked through and golden brown. Drain on a paper towels. 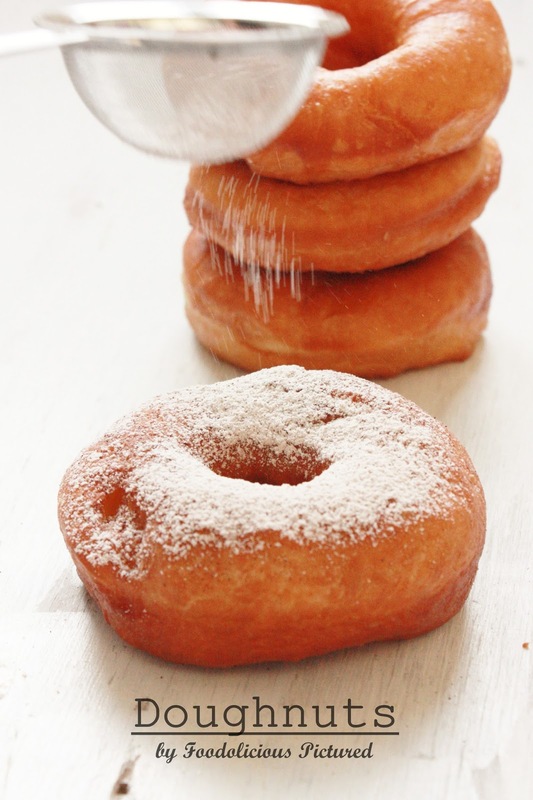 Sprinkle with powdered sugar, cinnamon-sugar mixture or with chocolate glaze. 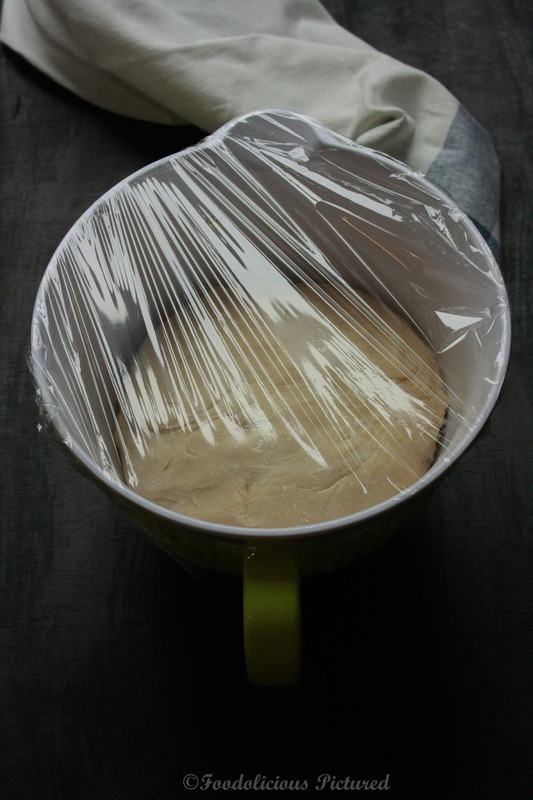 If you are not sure if your yeast is still active, them prefer you do a proof test before you start of with the other ingredients Take the lukewarm water ( please make sure the water is not hot. Otherwise your yeast will die). Stir in the yeast along with a pinch of sugar and set aside for 10 minutes. If the form and bubbles foam on top in 10 minutes then your yeast is still active. 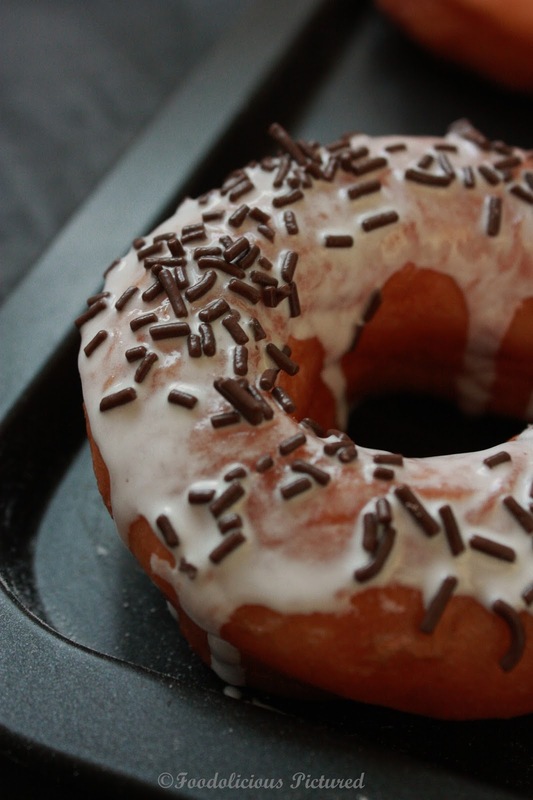 Delicious doughnuts, Rekha. Very well explained. Delicious looking Donuts. I have yet to try the baked version. Wow..these are really drool worthy!!! 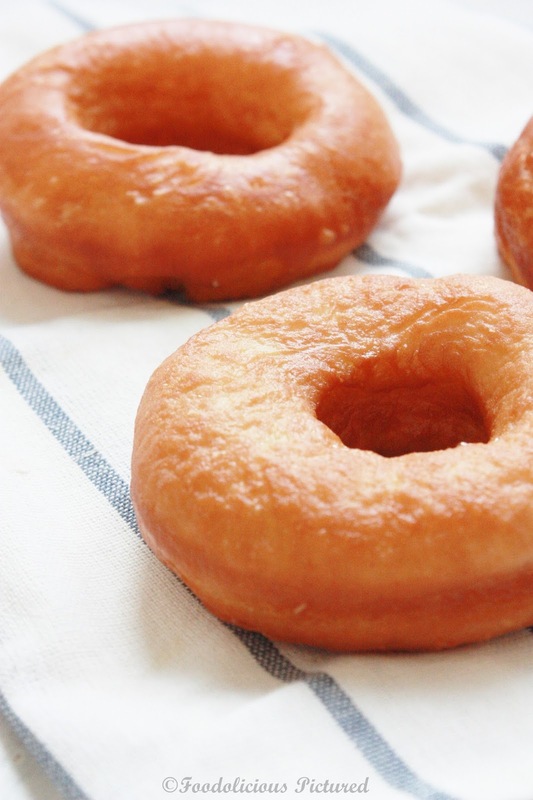 I like home made doughnuts and these looks perfect! 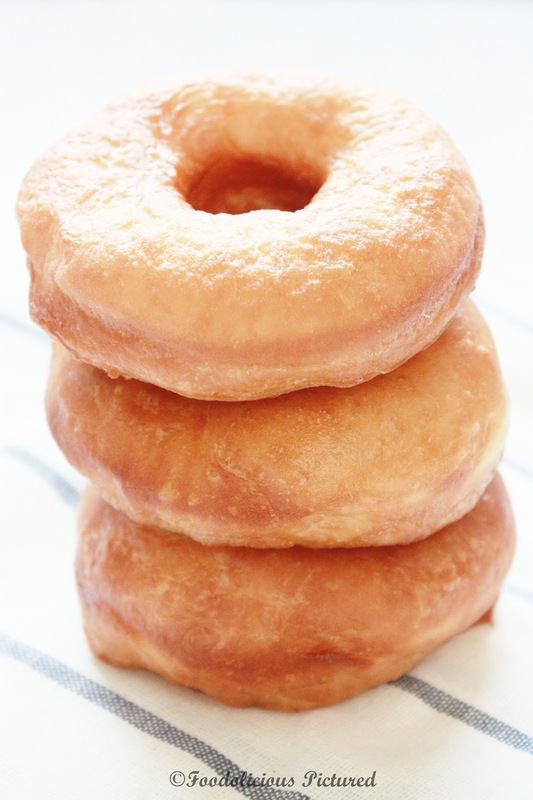 I want those, nothing can beat a deep fried piece of dough. I am craving this with a cup of hot coffee..how good would that be. Enjoy a couple on my behalf too sweety. 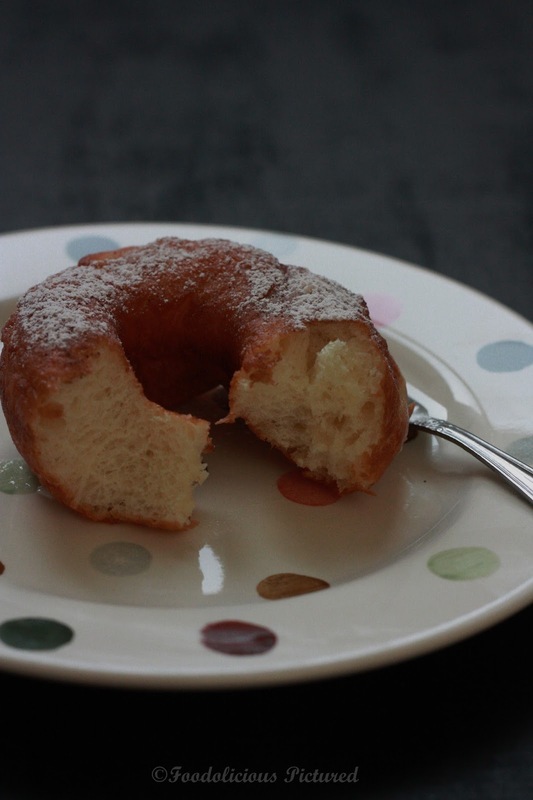 The doughnuts looks so soft and spongy. Delicious! 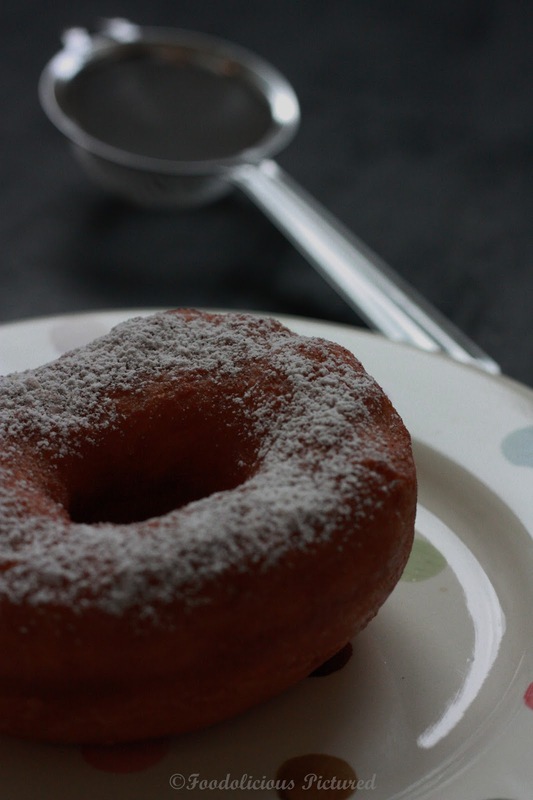 I have tried making doughnuts and it never came alive, flat and tasteless. I see the beautiful and awesome ones you have made. I shall, yes I shall try and before that let me get geared up first. I'm going to try out this recipe. so so good and excellent work..